On above code, we attach ZF\Hal\Plugin\Hal on renderEntity event which get the ZF\Hal\Entity object from ZF\ContentNegotiation\ViewModel payload property, and apply Link into it via ZF\Hal\Link\Link::factory(). Now, you can eliminate unneeded repetitive codes in all every api services. If you have Apigility as API builder in API side, and client app that consume it using Zend Framework 2/3 or ZF Expressive, you can create an authentication from the client application that call oauth in apigility side. 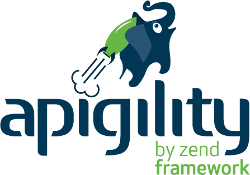 ApigilityConsumer is a ZF2/ZF3 Apigility Client module (can also be used in ZF Expressive) to consume Apigility API Services. // your oauth registered route segment in apigility. For ZF Expressive, you can register under ‘dependencies’ key. For ZF Expressive, you can create routed Authentication middleware. That’s it, you’re now have successfully created a client authentication for your ZF2/ZF3 or ZF Expressive application that consume Apigility oauth. Custom authentication in apigility is do-able with service delegators. We need to wrap ZF\MvcAuth\Authentication\DefaultAuthenticationListener::class in decorator. For example, we want to use ZF\OAuth2\Adapter\PdoAdapter but want to modify checkUserCredentials($username, $password) to include is_active check. Let’s do it!